Contact employers. Sell your job board services. Increase your monthly revenue. Doubling your monthly job board revenue in 3 months, can be an intimidating thought. Here’s the good news: While it may be a difficult goal, it’s not impossible. If you are operating a job board, you can follow these tips to achieve this lofty goal. Where are they located? (Local, State/Province, Nationwide, North America, Europe, etc). Is the employer actively hiring in your industry? Use all of the free resources to your advantage to find your ideal employers and begin the process of building out your contact list. You may want to set a reasonable goal to find 100 ideal employers on your market. This step will include researching online to find those employers and begin the process of capturing their data. You may be surprised by how much information is available on the association websites regarding their members and your ideal employers. And, from our experience, it is the best place to start because of the targeted audience and in some cases the wealth of information. 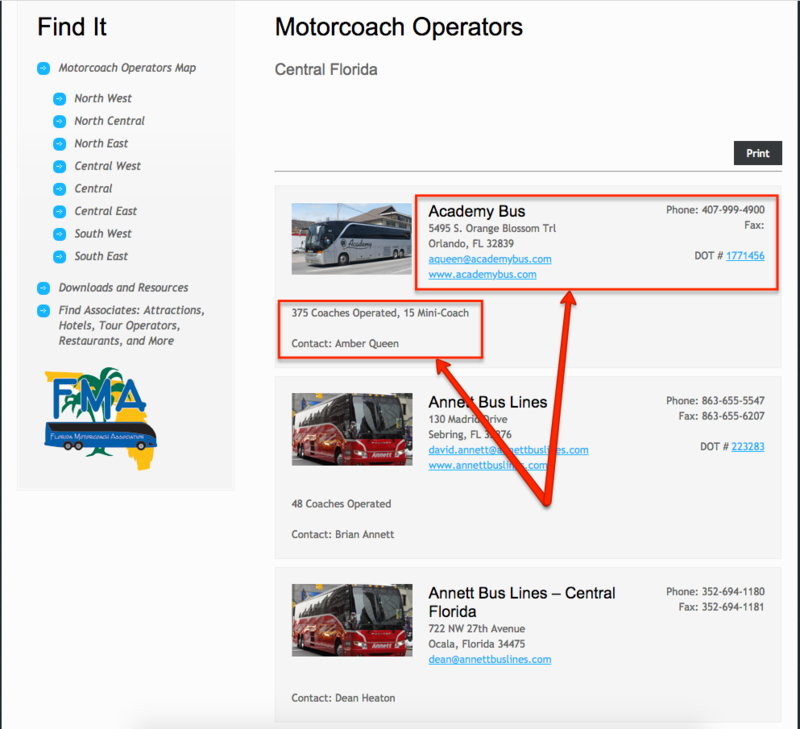 Here is an example of an association website targeting the Motor Coach Industry. I understand, a no-brainer here. Bare with us, utilize the job filters to narrow down to your specific market and location to see how is actively hiring in your industry. I know, another captain obvious moment. But, Indeed helps serve another purpose. 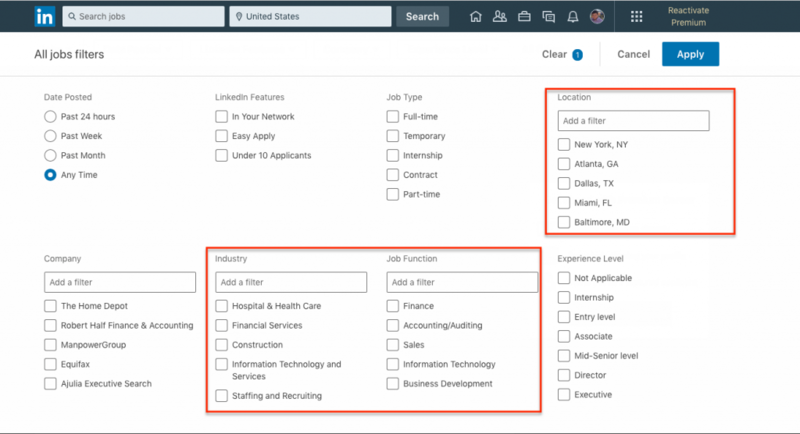 You can not only understand which employers are currently hiring in the industry, but also, can talk about the key differences between Indeed and your job board. We bet, when you speak to employers who advertise on Indeed, they mention how many job application they receive, however, it is important to identify how many of those applications are qualified? And, how long does it take to sort through 200 applications? Probably a long time, why not use a niche job board! You may need to be creative here with your search criteria. 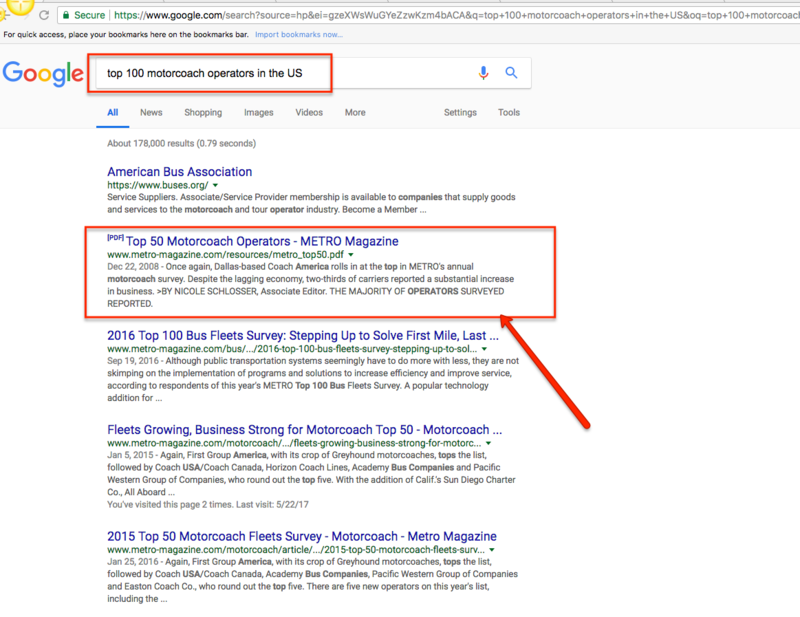 By simply searching the ‘top 100 motorcoach operators in the US’ the second search results displays a PDF file with the Top 50 Motorcoach Operators. A great list to review and identify those companies as possible fit for the Motor Coach Industry. In the first two steps, you have successfully identified your target audience and have utilized free online resources to find the employers that fit your criteria. For step #3, you will be setting up your contact list and save time down the line. When you start building out your own excel spreadsheet for your contact list, you will want to keep in mind the important information that you can utilize. From our prior experiences, we want to ensure we have all of the company contact details, but also, most importantly identifiable data to easily target high value employers. As you will note in the image above, we include if the employer has jobs available on their website and how many jobs. We target this information from the beginning to identify employers who will be worth our time to reach out. Don’t feel pressured to get this document perfect from the start, you will continue to refine your criteria as you go along. One extremely important point though, this will require you, one of your team members or outsource to a 3rd party to research each company and find their details. When you start attempting to contact 100+ employers at a given point, it is essential you have a dedicated area to track all of your correspondences with those employers. This will allow you to not only scale your communications, but also track the effectiveness. No kidding here, this is a life saver. Here at JOBartO, we have used a few options in the market and found great success with Zoho. 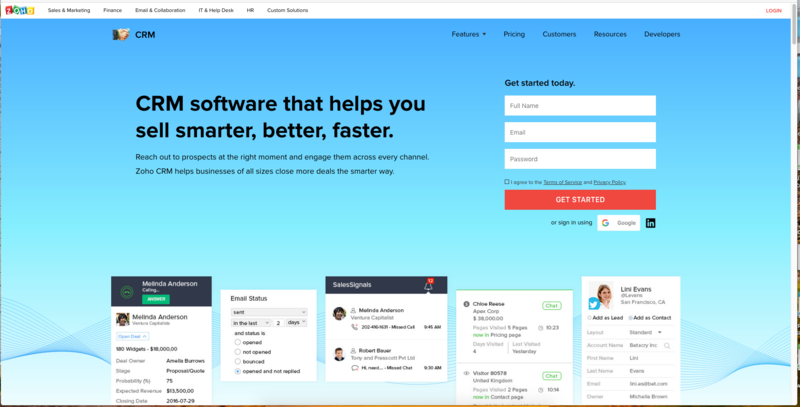 If you already use another CRM or haven’t yet, there are a number of options in the marketplace. We recommend selecting at least the ‘PROFESSIONAL’ edition because the email integration is included and unlimited records. Both of which are tremendously helpful. When you are setting up your Zoho account, the initial components you will want to take care of include; setting up your email and add any custom fields. During your employer research and crafting your ideal employer profile, you should of found information that is specific to your industry and will help you identify those employers. Therefore, you will want to set up your CRM account with custom fields to capture that data. Pro Tip: Avoid free text fields as much as possible. For specific fields like Lead Source, Lead Status, Industry, etc. you will want to add these fields are Pick List or Multi-Select. You want to utilize drop-down fields so the options are consistent (avoid spelling mistakes) and your team can easily narrow down your audience. You will be surprise how easy you can upload hundreds or even thousands of records in 1-2 minutes. Notice the first option is Excel! Pro Tip: Once you have 5 employers added to your contact list in excel, test uploading those records into your CRM. This process is easy, but can be intimidating at the beginning. Test, test, test. Once this has passed your first run through, you can rest assured it will work for your completed list. Congrats! You are almost to the fun step of seeing the return of investment on all of your efforts. 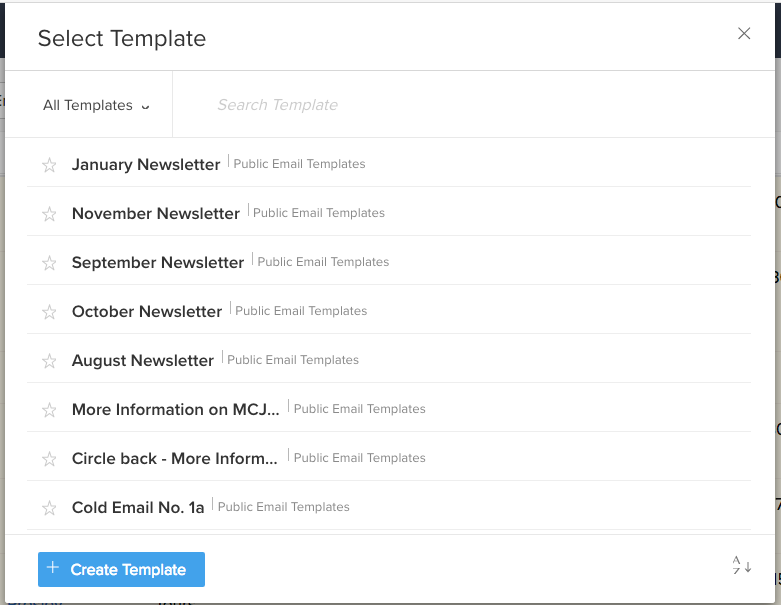 One advantage within Zoho is the ability to set up custom email templates and to deploy those campaigns to your list. Have fun with all of the capabilities. This is where you can benefit from all of your research. In the templates, you can add all types of personalization tags; Company Name, First Name, Lead Source, etc. Any data in your CRM account, you can use! Zoho allows you to send up to 500 mass emails daily. Once, we found this out, a game changer. Identify the set of employers you would like to reach out to directly and select your template. The advantage here is that your CRM will use all of the personalization tags you set up. You have sent out your mass email to all of the employers and now you can sit back and start counting your money, right? A few responses may come back from your email, however, the most likely case the emails will go unanswered. A good practice is to make a follow up call at least 24-48 hours after the call to check in. This is helpful because you technically aren’t calling cold as you sent an introductory email and have given the employer time to review. Also, you can mention your email from a few days earlier. Prior to your follow up call, it will be important to review the company website to get familiar with the current job openings they have available and any other relevant information. 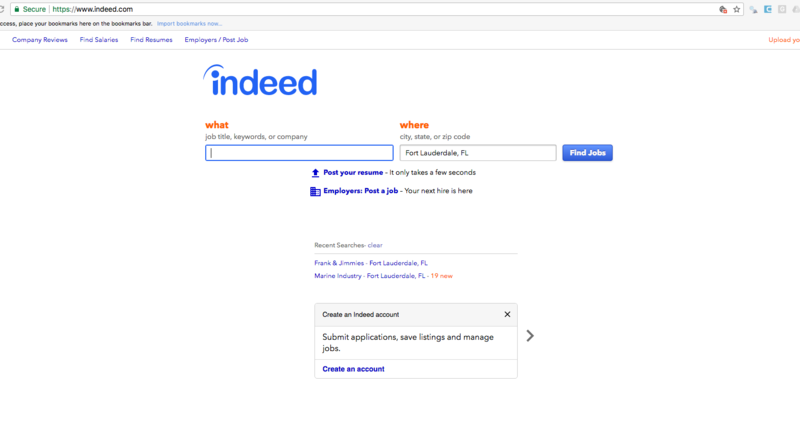 Remember, when we spoke about Indeed, if you found their record on Indeed, you can talk about that! Don’t fall into the common sales trap of calling the prospect one time and never following up. Remain persistent with your outreach via email, telephone, LinkedIn, social media, etc. Over time, you will start to identify the best methods and timing to reach people. If they are an ideal employer for your job board and you are confident your services will help them solve an issue, remain consistent in your follow up. We have implemented this sales model with numerous ventures and each time has been successful generating positive cash flow. And, in our most recent example, we doubled the monthly job board revenue in 3 months. One of the key advantages for you in the job board market is how few of your competitors will go to this extent with employer outreach. So what are you waiting for? Get started on building out your sales funnel and increase your job board revenues. How do you set up your job board for sales success?